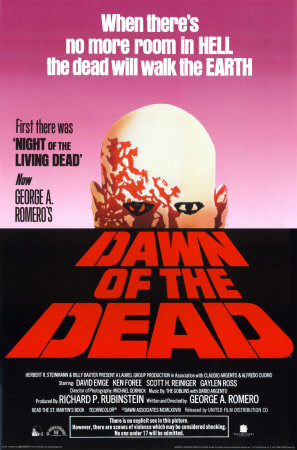 Dawn of the Dead (1979) was filmed in Pittsburgh, predominately at the Monroeville Mall, which is about half an hour’s drive from Pittsburgh. 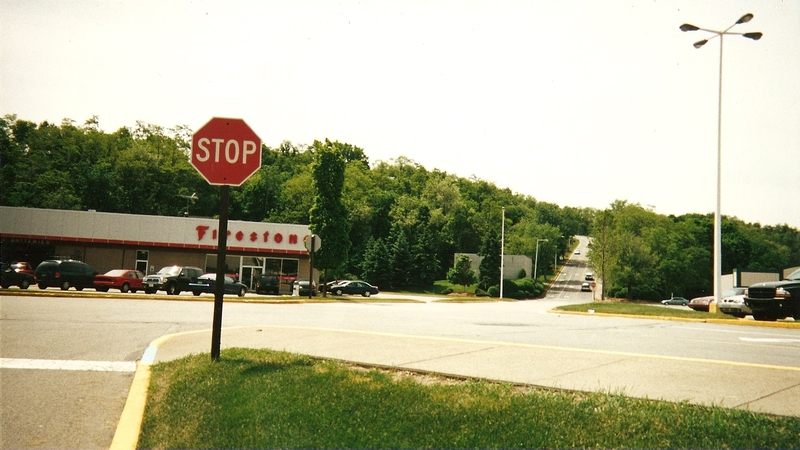 I travelled to the mall in May of 2001, and the following photos are from that trip. Dawn of the Dead is my all-time favourite movie, and so it was truly special to visit the place it was filmed. While the inside had changed over the years (the iconic clock tower is gone, as is the ice rink – now a food court), it was still recognisable as the Dawn mall. Unfortunately, while I was taking photos of the outside, I was approached by a mall cop, who told me I wasn’t to take photos of the mall. While I managed to persuade the cop into letting me take shots of the outside, I was explicitly told not to take any photos of the inside, much to my disappointment. Fearing my camera being confiscated if caught taking photos inside (I had a whole host of photos already on the camera, such as the Camp NoBeBoSco pics), I dutifully obeyed. As a result, there are no pictures of the inside. My apologies. Still, I hope you enjoy these photos of the world’s most famous indoor shopping mall. Close-up of one of the mall entrances (note the store’s name!). The store most utilised in the movie (however, it was then known as ‘Penny’s’). I spent a while in JCPenny’s, riding up and down the elevator and escalators. It was a trip being in the store where Peter, Fran, Roger and Steven spent a lot of their time. Another of the entrances. 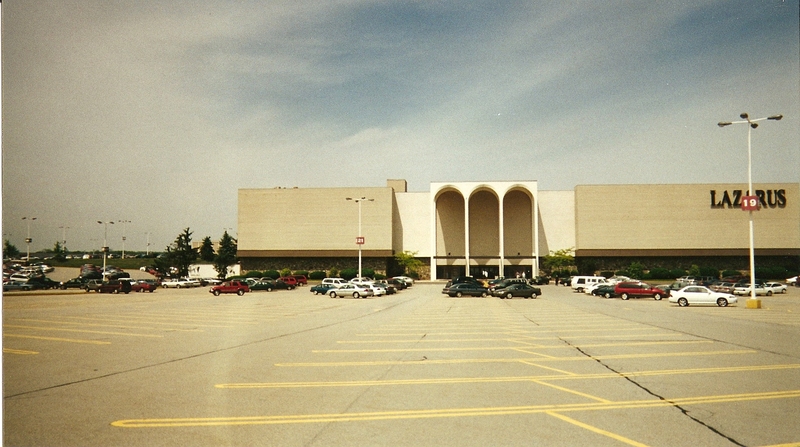 While the inside may have changed over the years, most of the stores long gone, the outside veneer still looked the same as back when the movie was made. Doesn’t it look like you’re back in the late ’70s (well, if you ignore the modern vehicles…)? 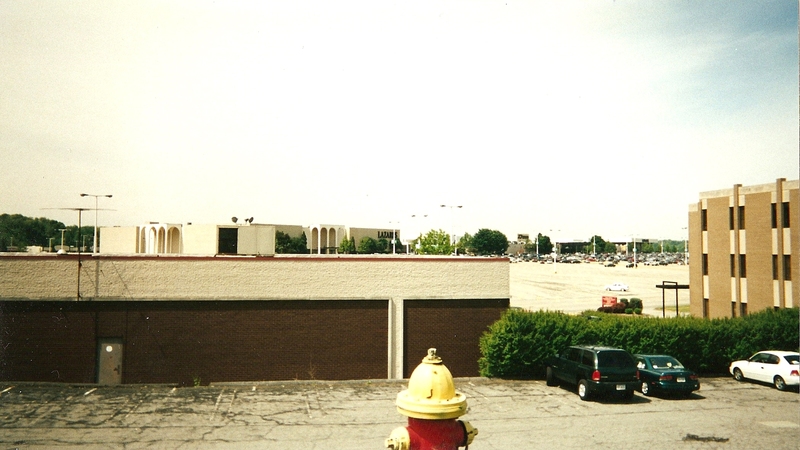 I believe this area at the back of the mall was used in one of the shots of zombies roaming around, as seen from the balcony. Peter and Roger drive the trucks down this road (located behind the mall) in their efforts to block the mall entrances from zombies.